Before the English settled in Jamestown, Virginia in 1607 or the Dutch settled near Albany, New York in 1615, a group of French-speaking, Catholic settlers established a settlement in Nova Scotia in 1605. By 1755, nearly 15,000 Acadians lived in Acadia. 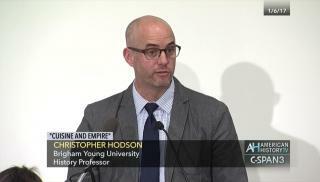 Christopher Hodson, an Associate Professor of history at Brigham Young University and the author of The Acadian Diaspora, joins us to investigate the lives of these early North American colonists and how the British government came to displace them through a forced migration in 1755. 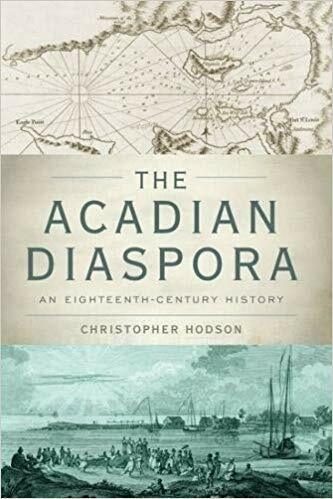 Christopher Hodson, an Associate Professor of history at Brigham Young University and the author of The Acadian Diaspora, joins us to investigate the lives of the Acadians and how the British government came to displace them through a forced migration in 1755. During our investigation, Chris reveals who the Acadians were and how they came to settle in North America; Details about how the Acadians lived, farmed, and traded while in Acadia; And, why the British government forcibly relocated the Acadians after 1755 and information about some of the places the displaced Acadians landed. Albany, New York: April 25 at the New York State Cultural Education Center. Meet up at pre-talk reception. In your opinion, what might have happened if the geopolitics of the eighteenth century had been different and the Acadians had been allowed to stay in Nova Scotia after 1755?